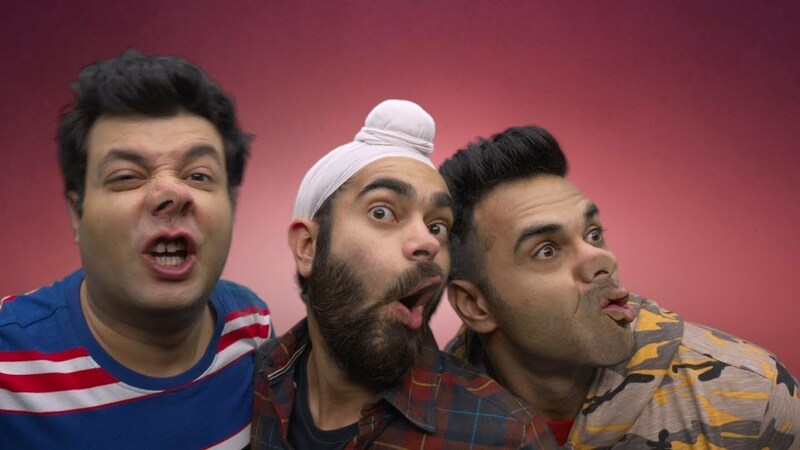 Fukrey Returns, directed by Mrighdeep Singh Lamba, is the sequel to 2013 film Fukrey. Produced by Farhan Akhtar and Ritesh Sidhwani under the banner of Excel Entertainment, Fukrey Returns comes across as quite a funny movie, and, so, yes, it does indeed get the job done. Like with most films of its ilk, the premise is utterly ludicrous and so you better be prepared for whatever that gets thrown at you. Needless to say, the film is laden with cliches and gimmicks. The movie also has very many moments of magic realism. The film is shot in Delhi NCR and those familiar with the city will be able to spot the locations such as Yamuna Bridge, Nehru Place, Zoo, etc. But the film doesn't really do justice to Delhi as a city like say a movie like Oye Lucky! Lucky Oye! did. At the end of the day it's not about familiar locations but it's about the mood and that a film evokes. Fukrey Return's camera work and editing are superb and there are some moments of absolute brilliance in the film. The beauty of cinema is that you only see what's there in the frame. This leaves for great uncertainties to unfold outside the frame and a slight pan or tilt can end up revealing something completely unexpected and startling. There is a scene in the film where a character is holding a revolver to another person's head and suddenly we hear a shot being fired and we are dead sure that the character is dead. Suddenly the camera moves to reveal that the shot was fired in the movie that a third character was watching on a projection screen. It is confirmed by another shot fired in the movie; only this time we see it being fired. Overall, Fukrey Returns delivers what it promises. The comedy is well timed and the performers ensure that the desired effect is achieved. Varun Sharma carries the entire film on his shoulders and he gets great support from Pankaj Tripathi and Richa Chadda. The real surprise element is Rajiv Gupta. Pulkit Samrat and Ali Fazal come across as weak links. Having seen Fazal deliver a memorable performance acting opposite Academy Award winner Judi Dench in Victoria & Abdul, it's really heartbreaking to see him squander away his talent like this. Fukrey Returns is quite funny but it's not exactly a laughter riot and it's so because of its slightly longish run time of 140 minutes. But if you have a taste for this brand of comedy then there really is no reason to complain.